2019 Transitional Employment Services (TES) Supervisor – Year Round and Summer Positions Available! The Transitional Employment Supervisor must be able to effectively lead, supervise, evaluate, and assist in the transition of a team of six to eight at-risk young people in a community-based project. Projects and TES programming are focused on basic skill development and job readiness. As part of the Mayor’s Office of Workforce Development, Youth Options Unlimited Boston (YOU Boston) is a youth development program that specializes in providing case management services and career development opportunities to Boston-area teens and young adults. YOU Boston serves young people ages 16-24, who may be court involved, gang affiliated, or at-risk. All of the young people we work with are dealing with barriers to stable employment and educational attainment. However, there is no typical YOU Boston member. Our clients come from a diverse spectrum in regards to their home life, education status, court involvement, and work history. Every young person we employ is held to high standards of professionalism, commitment, and attendance. As a Transitional Employment Services (TES) Supervisor, you will get hands-on experience working in a number of fields including; youth development, social work, mentoring, education, and project/operations management. Each year, our growing alumni of dedicated TES Supervisors go on to enter variety of careers within the non-profit/public and private sector. This position also serves as a feeder to YOU Boston full-time employment. Lead team of youth six to eight young people between the ages of 16-24, in project-based activities at various worksites. Supervise youth participating in projects; design, implement and adjust project plan; document project’s progress and challenges. Conduct daily safety checks of all participants and their belongings to ensure a safe and productive work environment. Facilitate the learning of all team members through deliberate daily workshops and activities to prepare members for the world of work, supporting their academic advancement and positive behavior. Work collaboratively with YOU Boston staff to ensure safety and progress of all youth participants. Conduct daily assessments of youth engaged in projects; participate in case conference meetings as it relates to the young person’s program involvement. Keep case notes and meet with other program staff regularly for continuous improvement of the program service delivery. Maintain all necessary supervisory documentation, including, but not limited to: payroll, disciplinary reports, weekly calendars, daily attendance and evaluations, alternative project assignments, transition recommendations and overall job performance assessments. Work in daily collaboration with YOU Boston Database Administrator and Career Development staff to ensure the completion and submission of all agency mandated documentation. We are looking for strong leaders; those with the experience and/or an interest in working with young people. This position requires high level organizational and interpersonal skills. Applicants must be able to efficiently manage a project, work collaboratively as part of a team, and communicate effectively with staff, youth, and community partners. Often our TES Supervisors are former high school/middle school teachers, City Year or AmeriCorps members, career changers, or recent college graduates. That being said, applicants who do not have prior experience will still be considered if they possess other relevant strengths/skills and are passionate about working with young people and giving back to the community. Bachelor’s Degree or working towards that with at least two year experience working with teens, preferred. Hourly Pay is $17.50 at 35 hours per week. (One hour lunch break is not compensated). Training as well as hiring will be on-going. Your employment status will be as a temporary at-will employee.  As an at-will employee, either YOU Boston or you (the at-will employee) may terminate your employment at any time with or without notice or with or without cause. The location of your position will be on YOU Boston premises or designated worksite. Your check will be issued by the Economic Development and Industrial Corporation. Please E-Mail your resume and cover letter to Jonathan Makrez at Jonathan.Makrez@boston.gov Subject Line: 2018 Transitional Employment Supervisor Position.